The June 25, 2005 SWET on Saturdays featured three veteran editors of English in Japan presenting the perspectives of freelance editing, editing of translations, and book editing to 23 working and aspiring editors. The presentations by Phil Ouellet, Lynne E. Riggs, and Ginny Tapley included stories from their experiences, general advice about editing in Japan, and specific pointers basic to all kinds of editing. The idea for this event grew out of two experiences of one of the organizers, one at a conference in Kyoto about a proposed network of editors and translators for Japanese scholars and public intellectuals (see SWET Newsletter No. 109, pp. 9–16), and another in a meeting of the three panelists with a senior researcher at the National Institute of Research Advancement in Tokyo. On both occasions Japanese scholars expressed complaints about native-speaker editing that they could tell had been done poorly or insensitively. Although we are accustomed to editors complaining about authors, and translators complaining about ill-written original Japanese texts, some Japanese clients who require editing are increasingly discriminating and appreciative of high standards of English, and complaints like these are a wake-up call to those who offer their services as editors of English text in Japan. The aims of this event were to find out what editors working in Japan know and do not know, share the experiences of veteran editors in various fields and outline the qualities, practices, and habits cultivated by good editors. The three panelists represented different branches of the editing field as it can be found in Japan, and their stories illustrate the diversity as well as the common threads shared by professionals in this field. Speaking about his background, Phil Ouellet recalled his undergraduate days at a small liberal arts college where writings skills were stressed in all departments, including the sciences, both soft and hard. The head of the economics department, for example, was so insistent that students write well that his policy was to allow only one “unpunished” error of punctuation, spelling, or grammar per assignment, with the grade being lowered one full level for each additional error (e.g., from “A” to “C” if three errors). Concerning his subsequent law school education, Ouellet noted that although many lawyers are not good writers in some respects, they almost always are precise. After law school, his training in writing was put to good use in government jobs, first in land-use planning/zoning, and then in personnel/budgetary administration for the Los Angeles City Attorney’s Office. Ouellet first came to Japan in 1986, for the last three months of a one-year stay in Asia. He returned here late in 1988, after winning the grand prize in a lottery: free round-trip Los Angeles–Narita airplane tickets. His good fortune continued when early in 1989 a college friend who owned an advertising/copywriting company in Tokyo and who had seen Ouellet’s written work assigned some overflow work to him on a trial basis. That worked out well, and he was introduced to one of the firm’s clients, Simul International, then the premier translation/interpretation company in Japan. He began doing freelance and in-house editing for Simul in a wide range of fields, especially law, government and politics, and business/finance/economics, but also in medicine and various academic and semi-technical fields. While working in-house at Simul, Ouellet saw the kind of high-quality work that a dedicated team of professionals (Japanese and native-English translators, Japanese translation checkers, and native-English editors) could achieve. At this point in his presentation, Ouellet showed samples of the numerous and varied written materials he has worked on during his 16 years as an editor in Japan: corporate annual reports and other business/economics materials; publications of religious and quasi-religious groups; medical publications; academic papers and newsletters for the Tokyo Foundation; and several books, including Japan and the United States—Fifty Years of Partnership and The Inugami Clan (fiction). Because Ouellet’s work has increasingly resulted from recommendations by satisfied employers and clients, he stressed the importance of contacts and recommendations in obtaining work in Japan, where they are perhaps more important than in other countries. Ouellet now works mainly freelance, while maintaining one part-time in-house position at a patent law firm. His work for the firm initially involved checking letters sent to law firms overseas, but it gradually expanded to include the editing of patent specifications and other documents, facilitating relations with clients and foreign law firms, and representing the firm at international conferences overseas. He noted that this is one example of how editing can lead to other types of work. In thinking what led her to a career working with words, Lynne Riggs said she often recalls her high school English composition teacher under whose unhesitating red pen she got her first hard lessons in the rules of writing. That start, supported by college-level courses in expository writing, turned out to be invaluable when it came to the discipline and creativity needed for editing and translating: to compose good topic sentences and concise conclusions, insist on just the right word, strip out “dead wood,” get around word repetition, double-check punctuation, recast sentences, find alternative expressions, and other skills. Riggs, who was involved with the founding of SWET in 1980, recounted how important the friendships and professional associations with other SWET members have been to a career in wordsmithing in Japan, where work in different professions frequently overlaps. In the midst of an office move, she dusted off a pile of novels translated into English from Japanese, took them home to read, and became intrigued. Her boss agreed to let her take over the representation of those books, and she did manage to make some sales in Spanish and Catalan. Deciding that she wanted to learn Japanese, she left her job and Spain, “not without regrets after seven very happy and productive years,” and went back to London to enroll in an undergraduate program in Japanese at the School of Oriental and Asian Studies (SOAS), London University. The SOAS course was four years of intensive study, with the second year spent at Waseda University in Tokyo. In addition to language, she studied classical Japanese, classical and modern literature, and art, reveling in the luxury of study after years of laboring in the working world. To support herself, she continued working for a literary agent (mainly assessing manuscripts), writing book reports for a literary scout, editing for a Spanish artist, and also working as a medical secretary for a well-known children’s hospital. In 2002, keen to return to Japan upon completion of her course, she received a recommendation through her contacts in the literary world to Stephen Shaw at Kodansha International. Much to her surprise, her application was quickly acted upon, and she was offered a job as editor at Kodansha International (KI). Ouellet outlined the benefits of freelance editing. A freelance editor can work as an individual or incorporate as a business. Because Japan’s individual income tax laws are quite liberal, many expenditures, including newspaper subscriptions, book/magazine purchases, ISP charges, transportation, rent, telephone, gas, electricity, and meals with others in the writing field can be at least partially written off as business expenses. Another benefit is flexibility concerning schedule and workplace. For example, Ouellet typically is away from Tokyo for about two months each year, including several week-long retreats at a Zen temple and at least one visit to the U.S.A. This would be impossible with a regular full-time job. He’s been able to select the clients he works for, keeping only those who will accommodate him in this way. Though he is not interested in full-time in-house work, he strongly recommends holding a part-time in-house job for the sake of income stability. Ouellet also mentioned some of the disadvantages of working freelance. To begin, one’s workload (and hence income) can be unpredictable and highly variable, so that to have only freelance work is not advisable for one who becomes anxious in such situations. He also noted that a client dissatisfied with a freelance editor’s (or translator’s) work for any reason (good or bad) usually will not express any complaint but will just stop sending work. Ouellet said this may be due to the Japanese cultural reluctance to criticize anyone directly. He also warned that some translation companies, usually small ones, sometimes try to squeeze extra work out of editors and translators for no pay, such as by requesting proofreading or layout-related tasks that are beyond the original scope of a work assignment. One must therefore consider ahead of time whether to include such tasks as part of a job or to insist on extra pay for them. Other disadvantages of being a freelancer are that some companies view one not as a human being but as a resource, like a telephone or fax machine, available for use at virtually all times, with the result that they don’t hesitate to call late at night, requesting that work be done immediately. Even without such calls, one’s work likely will often include rush jobs, so that one must work late at night (sometimes even all night) and on weekends and holidays. To minimize such problems, Ouellet recommends screening non-worktime incoming phone calls before answering them, never giving out one’s cell phone number to clients, and being as selective as possible about potential clients. Ouellet noted other practical considerations, including the importance of having backup equipment—two computers, two phone lines, two printers, and so on—because a freelance worker cannot risk being unable to send or receive work if the primary equipment fails. Ouellet recommended that before agreeing to accept work an editor should determine what level of editing the client wants and reach agreement as to the amount to be paid. In setting rates, it is important to consider the type of document to be edited (e.g., an article for an engineering journal and a speech require different types of editing) and what level of editing the client wants or is appropriate for the type of document (a proposed law requires a much stricter level of editing than a business letter, for example). Other considerations include the quality of the writing being presented for editing, how many revisions or checks a client requires of a document, and whether non-editing work such as layout is required. It is important for the editor and client to agree from the start about the basis for charging for work, whether according to volume, which is the usual basis, or according to time. Freelancers are typically paid by the “page,” a term whose meaning must be agreed upon by the client and editor for rate-setting purposes. A “page” typically consists of 200 to 250 words (as counted by MS Word or other standard word processing program), though occasionally a client will want to use a character count as the basis. Ouellet recommended that an editor be cautious when a client says, for instance, “We have a five-page document. Will you edit it for ¥5,000?” Each “page” might have very narrow margins and be in a 10-point font, totaling the equivalent of 15 200-word pages. Also, a client might want to pay according to the number of pages or words in the document after editing, even though, Ouellet says, this is almost always disadvantageous to the client, because if an editor is lazy or greedy the final product probably will be wordier than it should be. Occasionally a freelancer may be paid to edit on an hourly basis, but this is usually the case only after the client and editor have established a long and stable relationship and mutual trust. Sometimes a client might want to set price for an entire book or other document. In order to be safe, one should examine the entire document and determine how much time and effort it will require before submitting an estimate or accepting the client’s pay offer. For both setting a fee and negotiating a deadline, Ouellet recommends adding 10 percent or so to the amount of time one thinks that a project will take, because probably more time than expected will be needed. In his experience, a longer text usually takes less time to edit than multiple shorter documents having an equivalent total number of pages, because of the need to process more files, to become familiar with new subject matter and so on, and thus it might warrant a lower per-page rate. Other factors in setting rates include the length of time until the deadline and how much work the client provides on a regular basis. Ouellet generally asks a new client what it wants to pay, and he accepts the amount if it is at all reasonable, with a view towards adjusting rates upward if necessary as the relationship progresses. Ouellet also noted that some clients in Japan tend to delay payment for three to six months, and so he recommends reaching an agreement as to payment date before accepting a job. For Ouellet, two other considerations are also very important in deciding what work to accept and what rate to request or accept: the degree of interest in the subject matter; potential conflicts with personal ethics. In addition, said Ouellet, self-discipline and the ability to work alone are essential for a freelancer, for reasons that should be obvious. A freelancer also must be able to politely turn down work that because of time limits or other considerations one cannot do or does not want to do. Otherwise one can easily end up working 20 hours a day and being underpaid, especially because recently there has been much pressure in Japan to reduce rates. However, one must exercise care in this regard, because if a freelancer too often declines work from a client, the client will stop offering jobs. Many Japanese clients, Ouellet observed, do not know English well and are not able to distinguish between good and bad English writing, and often they don’t want to pay for what it takes to make that difference in terms of product. Also, some clients resist change and tend to repeat the same errors in publications year after year, sometimes because no one wants to admit that a mistake has been made. Often this is a matter of wanting to keep things the way they have been to avoid admitting that previous work had shortcomings, which would imply criticism of whoever had done that work. Sometimes a client wants a literal translation, but the best translations are almost never word for word, said Ouellet, and they might vary considerably from the language and structure of the original. Good translations sometimes result from making explicit that which is vague or ambiguous, but in some cases Japanese texts are intentionally imprecise for some specific reason. For instance, a statement might need to be vague so as not to embarrass someone, to keep options open, or to allow for various interpretations. Moreover, in business and political writing, vagueness might be intentional. Care must be taken to ensure that both the editor and the client know what the client expects. For example, says Ouellet, a client might ask an editor to give a paper a “light check.” If the client’s definition of “light work” is not clarified, the editor might do a highly polished job only to find that the client is unsatisfied, declaring that the tone has been changed too much. Another field of editing focuses on texts translated from Japanese. This is the type of work most familiar to Riggs, who works in a small firm that specializes in the humanities and social sciences and stresses the collaboration of Japanese and non-Japanese translators and editors. Most of its work is currently the translation of Japanese texts as well as editing and proofreading for English-language books and periodicals. The main feature of this kind of editing is the necessity of combining knowledge of Japanese and translating skills with editing, both of the “developmental” kind (which may involved heavy rewriting, recasting, reorganization) and of the technical, copyediting type (needed at the stage of preparing manuscripts for typesetting and publication). While some editors prefer not to see the Japanese text as they work, a great deal of the editing of translations cannot be done accurately without having at least some reading ability and willingness to refer to the Japanese. Especially when working with translators with limited experience, or with Japanese translators rendering texts into English, the drafts may have syntactical or organizational problems that are difficult to unravel without reference to the original. There is considerable demand for persons who have both translation and editing skills, although the work is hard and time-consuming. In Japan, clients often look for skills requiring a managing editor, one who can regulate the succession of tasks involved in producing a multi-author publication (either book or periodical)—translation, checking, editing, copyediting, author-checking, collation of corrections, and first and second proofreading—and make the various judgments needed along the line for English material. Since the client often expects the professional to work according to procedures and schedules determined by its organization, this can require advanced Japanese-language skills and familiarity with work practices in Japan. Another kind of work that comes under the rubric of “editing,” is revision of badly translated texts, as when the client has been told by someone trusted that the English in a document “needs to be fixed.” Riggs has received numerous jobs of this kind, often translations presumably already done for good pay but so badly that the work has to be done over. The conditions of such work are almost always poor—lower rates and short deadlines—but careful, dedicated work on a pinch project of this kind can lead to future work under better conditions. Such cases are usually the result of not choosing the right kind of translator for the work in question. One consolation might be that some parts of the initial draft can often be salvaged. An increasing number of clients for editing in Japan, Riggs believes, know English quite well and can tell whether the professionals they hire are skillful. They do not want an editor who simply corrects the verb agreement and article usage; they know how important it is to enhance the expressions, improve the level of language, and give their text an idiomatic, natural English tone that will make their message effective. So the light-handed editor who makes only minimal changes is not necessarily what the client needs. Editors often need to educate clients about the nature of good J-E translation and how best to present their information in English, whether as book, article, journal, website, newsletter, or whatever. English may not be enthusiastically embraced, but it is seen as something necessary—a tool—and many clients need to have someone they can trust to take their side in handling the problems it involves. As the English wordsmithing world in Japan is fairly small, editors are often relied on for things that may be outside of the normal scope of the profession, like setting up the shape of diagrams or tables, drafting copyright pages, consulting about layout or typefaces, and proofreading. These extra tasks can make projects interesting or frustrating, depending on one’s perspective. Concerning layout, Riggs believes that today there is somewhat more understanding of the need for a professional designer (who understands Japanese and Western typography rules) than there was 20 years ago, but clients still want to cut corners and place the burden on the editor (even the translator) or the printing company. Still, such plus-alpha assistance and after-service can be key to bringing customers back, says Riggs; if you are around when needed to help clients answer questions and resolve dilemmas, they’ll keep coming back. Tapley’s role as book editor at Kodansha International involves much more than hands-on editing of texts. It begins with the idea or concept for a book. This may start with a proposal by an author, an idea devised by the editor, or a translation of an existing book. The editor has to decide what the book will look like: size, format, and so on. Once the general outline of a book has come together, Tapley talks to the sales and production people, gets a budget worked out and takes the book proposal to a company meeting where it will be approved or, just as likely, not. Only if it is approved can work then start on the book. By then, Tapley has a clear vision of the book she’s working on, what it will look like and what the intended audience is. With illustrated books, such as weighty tome on historical rings that Tapley brought in as an example, the editing process is fairly complicated. For the book on rings, Tapley worked with a senior editor, setting up the shoots for almost 2,000 rings from a Japanese collection as well as finding, getting permission for, and paying to use supplementary photos. She also worked with a designer, doing layout out for all pages in addition to basic text editing (made problematic by such details as academic inconsistencies in date calculation related to ancient Egypt). Tapley notes that, when she gets down to working on a text, she finds that authors have rarely given her a finished product. As she often goes back to the author several times, bouncing various ideas around in the process, a text is liable to change quite a bit. Towards the end of the process come the cover design and jacket blurb, all of which are also her responsibility. Finally, she has to give information to the sales and marketing department, usually examples of similar books they can use as a yardstick, as they crank up for promotion of the arduously created book. Running a small, academically oriented translating company has given Riggs experience in the coordinating issues of periodicals and multi-author works using several translators, editors, and proofreaders. Translations are done either in-house or by freelance collaborators, checked for accuracy by a Japanese professional, and then edited for the publication in question. Essays published for a Japanese readership often need considerable adaptation for re-publication in English for a wider, international readership. Introductory and concluding material must often be created, the quantity of headings decreased, footnotes supplied or removed, repetition trimmed, and so forth. In making changes of this kind, the editor needs the firm trust of the client and author and good channels of communication. In recent years, the translation, editing, checking, and proofreading processes may all be done in digital files, without the traces of changes preserved at all stages. In order to be answerable for changes, Riggs believes it is important to keep every file at each stage of the process. Her preferred system includes footers in each draft giving the date and initials of the person who worked on the file. Following the still widely favored traditional method, Tapley always does her first edit by hand on large-sized paper with plenty of space in the margins, so that the author or designer can have a good look on the page at any revisions that have been made and the notes made by the editor explaining the reasons for the changes. After the first edit on paper, she sometimes does second and third edits on screen, but she says she found that the way she would assimilate and understand a text was different on paper than on screen, so she has not abandoned her practice of doing the initial edit on paper. After editing on screen, she puts the date of completion of the edit in the name of the file sent back to the author or translator for revision. When working as part of a team, as he experienced at Simul, Ouellet similarly recommends a system for naming files so that everyone concerned knows which editor, translator, or checker created a particular file, and in what order. Riggs offered specific points of advice for editing translated essays. The first is to have basic Japanese ability or be able to negotiate closely with the writer. Knowing Japanese allows the editor to better intuit what the author is trying to say when the phrasing is awkward or convoluted. When working on a draft translation, editors sometimes become upset that “it doesn’t make sense,” which can happen because the English translation has not correctly reflected the transitions and subtleties in the original. Even translators with long track records may translate the words and sentences but not the logic. In such cases, the most efficient solution is for the editor to fix it, referring to the source text. Sometimes good material for a topic sentence is found at the end of a paragraph. Riggs believes there’s nothing invasive about moving sentences around or changing syntax as long as the author’s meaning and tone are conveyed accurately. Much can be done to improve readability by giving the draft better verbs and rephrasing excessively word-for-word renderings of the Japanese. While the original may be a “forest of headings,” the English translation can be more streamlined and consolidated, taking advantage of the nature of topic sentences to replace some headings. The editor’s tasks may also include adding identifiers for people and places that will be familiar to Japanese but not to a wider audience. The panelists called attention to several reference works useful for checking questions that come up in editing and for showing clients a recognized authority on matters under contention. 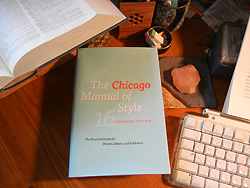 The Chicago Manual of Style (16th edition, 2011) and the SWET Style Sheet (1998) are standards used in Japan. Other authorities one can turn to include The New York Times Manual of Style and Usage (1999), the MLA Style Manual (1998) and MLA Handbook for Writers of Research Papers (2003), Words into Type (1974), and The Careful Writer by Theodore L. Bernstein (1995). Amy Einsohn’s The Copyeditor’s Handbook (2000) includes much valuable guidance and advice. 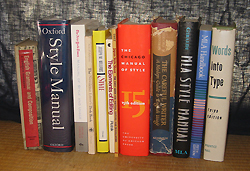 For continuity, each article, book, or periodical should be edited using one dictionary and style authority. Since hyphenation may be slightly different from one dictionary to another, it is a good idea to agree with a client (and their printer) on which dictionary to use for the project, especially for a periodical. One participant raised the point that the distinction between editor and translator seems a little blurred in Japan. Inevitably so, said Riggs, because J-E translation involves a lot of editing processes. This has been partly expedient, however, because while a translator’s job is relatively clear, what an editor does is not so well understood. Although large publishers, foundations, and corporations may have in-house editors whose responsibilities are solely in editing, the piece to be edited often involves or comes from translation. While some editors don’t want to work on projects requiring Japanese language ability, there is great demand for editors whose command of Japanese is adequate for spot-checking or even higher level tasks. Riggs embraces the combination of editing with translation, but Ouellet is of the contrasting opinion that translation and editing are distinctly separate activities, and that although some people do both, top-level translators very rarely are high-level editors, and vice versa. The skills and the level of editing required can vary greatly, depending on the type of material and subject matter. Ouellet said that while in theory every document that passes through an editor’s hands should come out in perfect, polished English, with every fact double-checked, so that the quality of the writing is high in every respect, in reality often that isn’t possible. The deadline might be short, the client (or author) might not want extensive changes made, or the client might be unprepared to pay the price for polished work. An editor needs to determine, in consultation with the client, exactly what level of editing the client wants. The person in charge might simply say, “Please check this,” and give little or no other editorial direction. 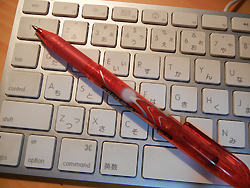 Sometimes a client will ask for “proofreading” (kōsei), when what is really wanted is editing or even heavy rewriting. Or a client might ask for “rewriting” when only minimal revisions of the document will be acceptable. Particularly when working with a translation agency, it might be necessary to edit lightly and find ways to solve as many problems as possible to avoid presenting many questions or comments to the client about problematic wording. Such editorial issues will not be welcomed, because the agency will have to devote personnel time to deal with them, reducing its profit on the project. Riggs’s approach is to “just go ahead” the best she can with a given assignment, polishing the English as much as possible, regardless of the amount of revision involved. Even if the pay is low, it can be difficult to scale back what seems necessary to fit the price. Because of the “dai-sensei” tradition in Japan, in which henshū (editing, copyediting) often does not question the wording or organization of author’s writing, Japanese texts can sometimes be difficult to understand and poorly organized. In the translation to English and subsequent editorial processes, these problems can often be dealt with. Often the client editor or coordinator who stands between the translator/editor and the author will be reluctant to accept major changes in a text, while the author in person may be quite amenable to the adaptation needed. Tapley believes that basically a good editor is a good writer. The ability to grasp the concept, tone, and style of various texts is crucial. A good editor becomes an expert on the subject he or she is editing, doing extensive research on the topic at hand. Even if all you are asked to do is edit a letter, you need to know the background of the correspondence and what, if any, letter it is responding to. The editor should ask for this kind of background material whenever possible. Boning up on the topic of a project, which once required collecting reference books or spending hours in libraries, is now far easier thanks to the Internet. An editor also needs to be organized: whether in dealing with deadlines, checking with authors, translators, or recording details for accuracy and consistency, it pays to be methodical and keep work in order. Ouellet recommends referring as often as necessary to a dictionary, thesaurus, and other writing aids, to ensure that a product will be as perfect as possible, even in regard to minor grammatical points and the like. He also emphasizes the importance of making wording clear and unambiguous (unless the client wants ambiguous or vague content). Perhaps most important, he notes, is to always puts oneself in the position of the reader. For both editors and translators, Ouellet says, personal qualities also can be important determinants of such matters as one’s suitability for editing work, whether one is best-suited for freelance or in-house work, and one’s ultimate success and sense of fulfillment in regard to one’s work. A tendency to be a perfectionist is a definite asset, though one must not be rigid in that regard and must be able to adjust to a client’s wishes, time limits, and so on. A person who has a big ego or a fragile one may find writing work frustrating, because coworkers and clients often change work one has painstakingly done as they deem appropriate. A big ego will tend to cause one to regard one’s work too highly, which can lead to arrogance and resistance to accepting revisions, which in turn can cause conflict with clients, translators, or others working with one on a project—or to the appearance of arrogance, which in itself can cause clients to send work elsewhere. It’s important to realize that there always are other professionals who can do work as well or better than oneself—and perhaps even for a lower price. A fragile ego likely will cause one to frequently feel disappointed, underappreciated, or even under attack, likely resulting in a feeling of low self-esteem that might make the work unsatisfying and too unpleasant overall to be worthwhile. Riggs values creativity in editors, particularly the ability to retain the voice of the author and honor the toil of the translator while editing for readability and clarity. A poor editor is one who projects his or her voice into the text and is unwilling to reach out for what the author wants to say. Ouellet commented that in Japan both editors and translators are more likely to be able to work in a variety of fields than would be the case in a native-English country, where such professionals typically must specialize or limit their work to a very few subjects. In Japan an editor might work on anything from signs for museum halls to scholarly research studies, websites, or speeches of the prime minister. One can work for big corporations needing in-house editors for correspondence, PR, reports, or patents, or for foundations issuing specialized publications and documents in a particular field, or even for individual authors who want an editor who knows their work and circumstances and can be called when needed. Although the June 25 event had been billed as a “workshop,” and the panelists had polled the participants, asking about their particular interests and backgrounds, there was not sufficient time to give specific advice to individuals. Those attending ranged from beginner, mid-career, and veteran editors working in a variety of situations, as well as people aspiring to be editors, along with translators and personnel from translation companies. Some expressed a desire for further SWET events on editing.